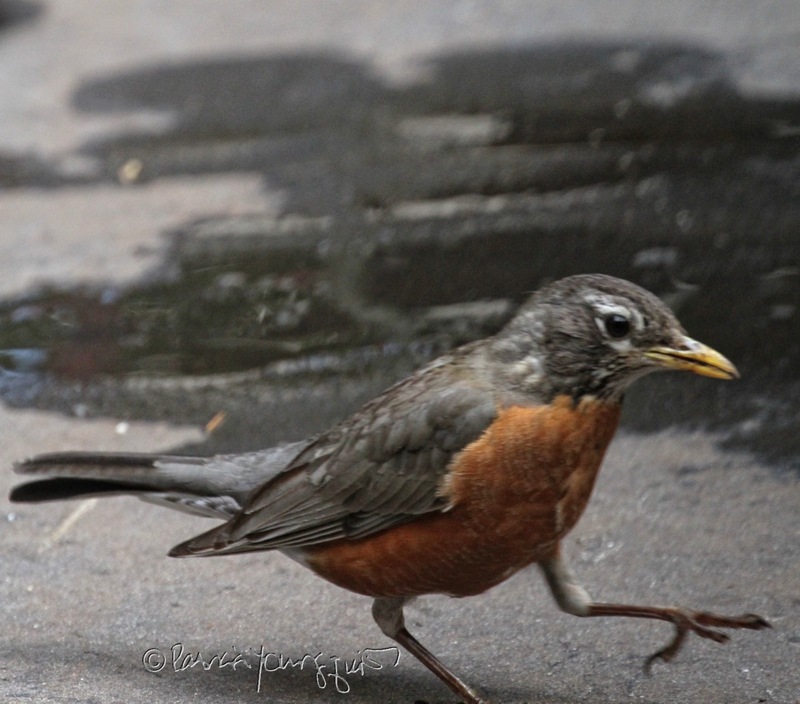 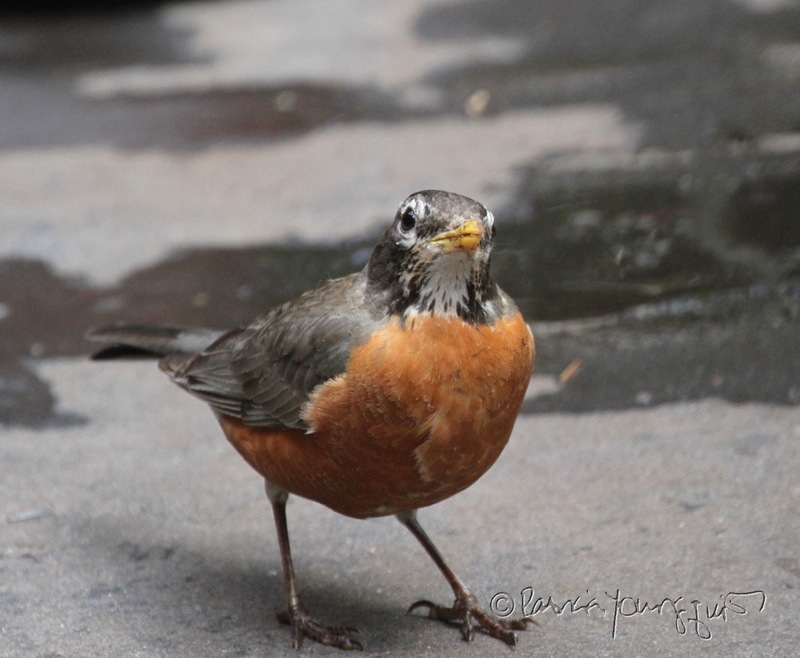 This afternoon an American robin, who was visiting my rooftop garden, called upon me to once again follow the wisdom of Elizabeth Lawrence. Ms. Lawrence is known to remind folks that "even if something is left undone, everyone must take time to sit still and watch the leaves turn." 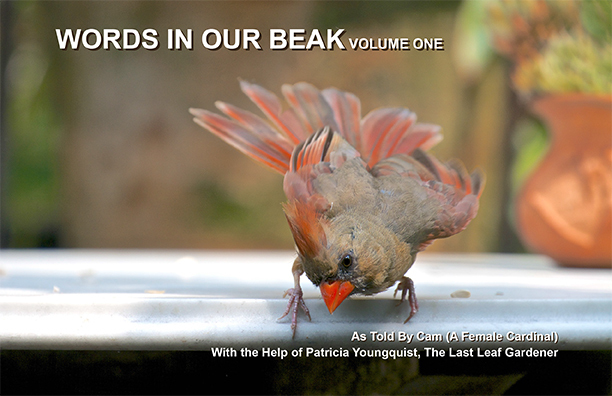 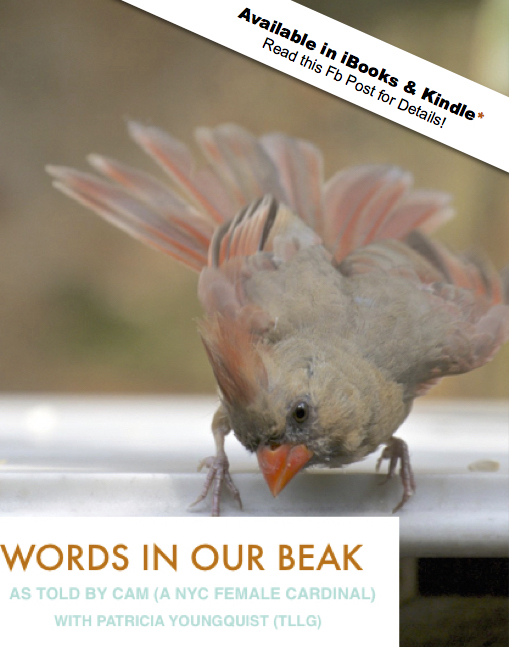 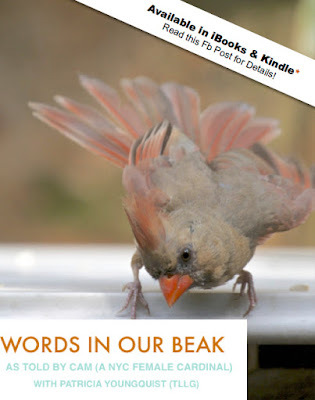 of Words In Our Beak Volume One (WIOB).The American robin was not included in this volume as his bird type arrived after the release of all the versions of this book; however, robins will be included in a sequel to WIOB. 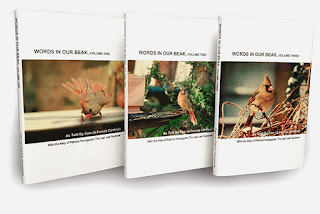 In any event, I've been all wound up in promoting the book and writing the first sequel; rarely taking the time to spend time in my beautiful urban garden, which is the setting for WIOB. 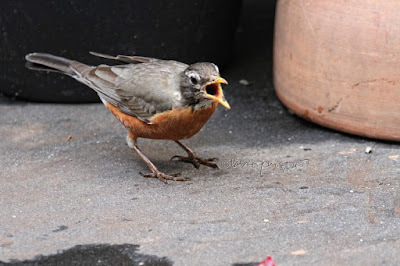 I confess that it is in my character to not comply with the adage of "sufficient unto the day...;" and someone once told me that my main problem is a job isn't started until it's finished. 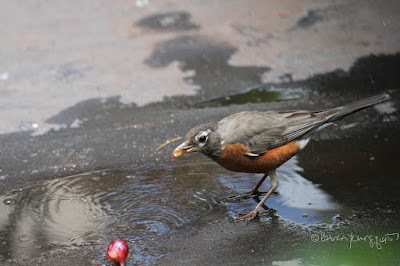 My visiting robin seems to be aware of my character flaw and called upon me to take time, not to swatch the leaves turn, rather to watch him "negotiating" with one of the grapes that had been put on a plate-style bird-feeder (which he is doing in the next set of photographs). And indeed I was truly impressed with his efforts! But I discovered his motive in having me watch him "interact" with a grape, he was hoping for more, as evidenced in the following picture, where he is giving me that puppy-begging look. 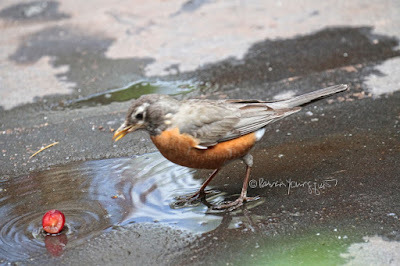 And of course I couldn't resist! 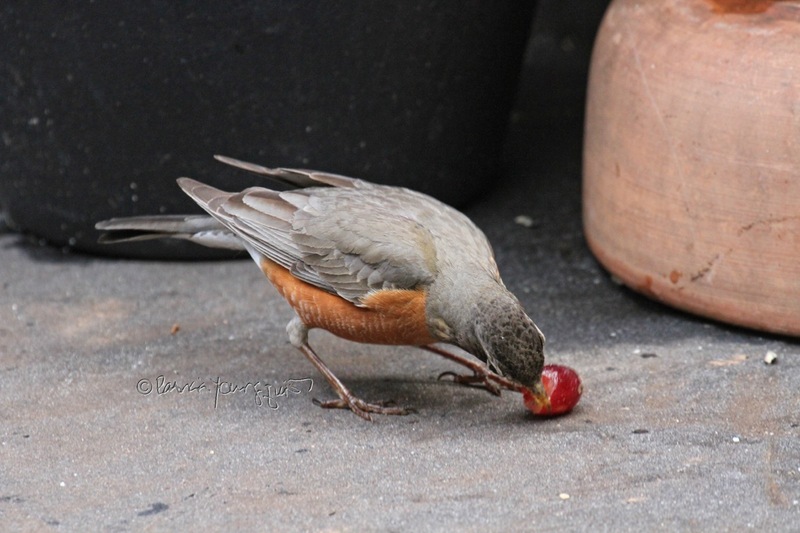 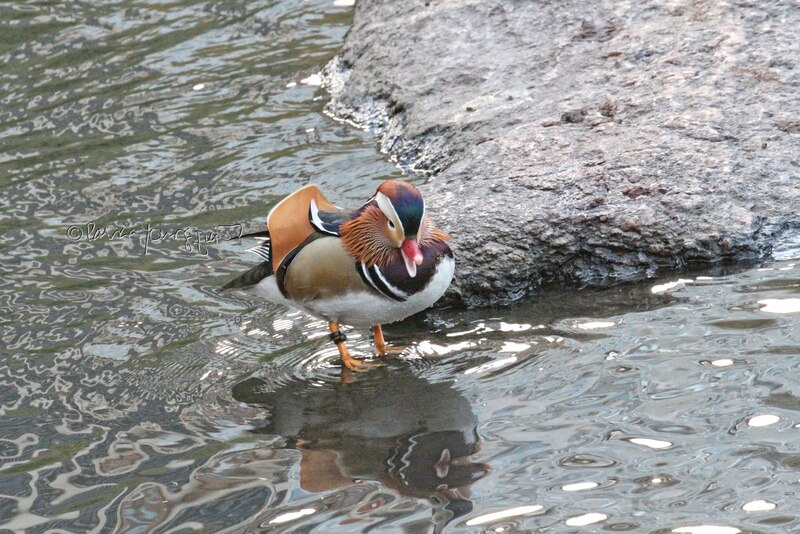 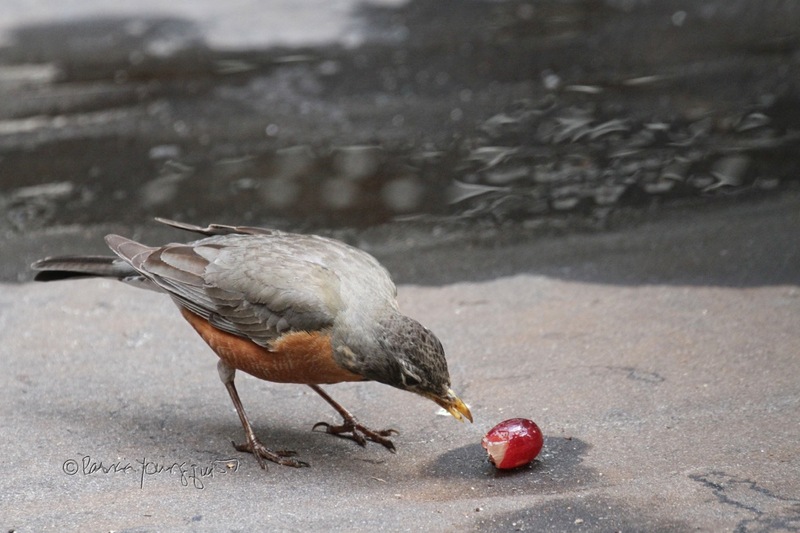 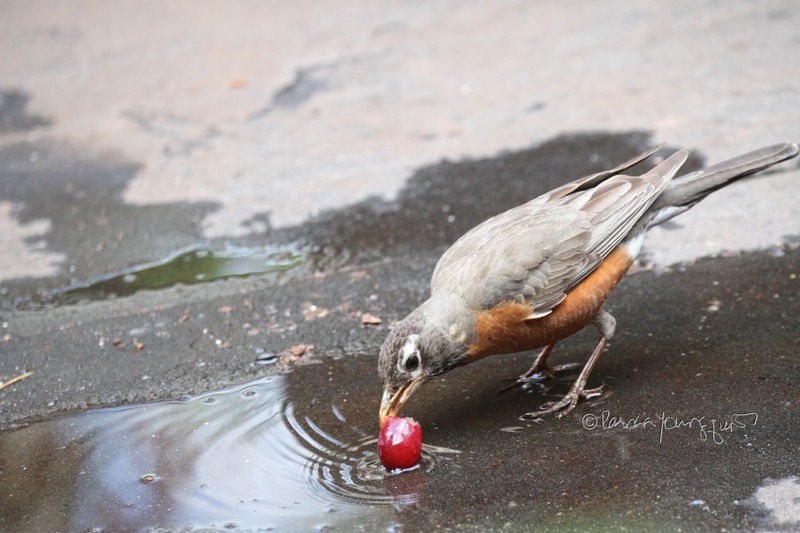 I gave him some more grapes, and, then (after taking the grapes), he did what robins do: He went bob-bob-bobbing along!